JNN 18 Oct 2014 Sydney – Feeling targeted by the new anti-terror laws, Australian Muslim scholars have demanded the removal of the offence of “advocating terrorism” from the so-called Foreign Fighters Bill, seeing its broad definition as criminalizing those who teach certain passages of Qur’an and Old Testament. A scholar could fall foul of the new law even if he simply “advocated the duty of a Muslim to defend his land,” Grand Mufti of Australia Ibrahim Abu Mohammad and the Australian National Imams Council said in a submission to the parliament, Sydney Morning Herald reported on Wednesday, October 8. “We are therefore concerned that the proposal has serious implications on free speech and will have a chilling effect on legitimate religious and political debate,” the submission, made by the Council representing 250 imams, said. The Muslims’ recommendations were made after attorney general, George Brandis, said that the public would have a chance to comment on second tranche of national security legislation, commonly known as the Foreign Fighters Bill. The bill is currently examined by the Parliamentary Joint Committee on Intelligence and Security (JCIS). 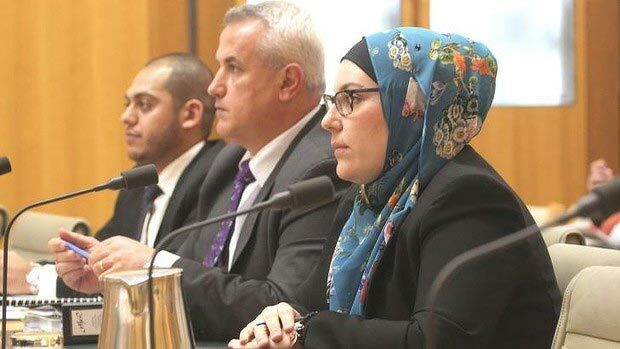 Appearing in front of the committee on Wednesday, members of the Muslim Legal Network said the laws should target the extreme fringe, not mainstream Muslims. They said any religious community could face being charged with a terror-related offence “if they refer back to stories in the Qur’an, Bible and Torah in their sermons”. Scholars have pointed out that the Old Testament includes violent imageries as well, citing Psalm 137 which threatens Babylonians that “blessed shall he be who takes your little ones and dashes them against the rocks”. Another submission was made by the Islamic Council of Victoria which warned that the new law would incriminate Muslims who support “legitimate forms of armed struggle”, including resistance to the Assad regime in Syria and the Palestinian conflict with Israel. “The broad definition of ‘terrorism’ and the way in which it is sometimes selectively applied to such groups is problematic … [and] the power of the Attorney-General to list terrorist organizations without oversight and consistency exacerbates this problem,” it said. “Broadening this definition to include ‘foreign incursions’ and ‘treason’ when Australia already has laws which deal with these further muddies the water on the issue of what can be considered terrorism and what should be considered legitimate resistance to oppression. The council identified what it says is a double standard in Muslims wanting to go to Syria and Iraq to provide aid having their passports cancelled “while ignoring the travel of Zionist Jews wishing to travel to Israel – a state which illegally occupies Palestinian territory with intention of fighting in a war against Gazans and has been accused of war crimes”. The anti-Muslim sentiments further increased following last week’s anti-terror raids, deemed the biggest in Australian history, in which 15 people were arrested from north-western Sydney. The raids were followed by a huge number of anti-Muslim attacks, including a mosque being defaced in Queensland and direct threats issued against the Grand Mufti of Australia. This entry was posted in Europe and tagged Australia, Australia Ibrahim Abu Mohammad, Australian Muslims, Foreign Fighters Bill, Grand Mufti, muslim scholars, Sydney Morning Herald. Bookmark the permalink.